Team USA Michael Jordan Lot of 6! USA Basketball Dream Team, Sharp MJ Cards! 1997-98 FLEER FLAIR SHOWCASE #1 MICHAEL JORDAN ROW 2 SHOWSTOPPER STYLE, Sharp! 1989 89-90 Hoops SUPERSTARS David Robinson RC Rookie #88, Rare Yellow Border! 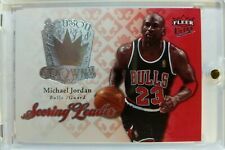 1996-97 Flair SHOWCASE Michael Jordan STYLE ROW 2 Chicago Bulls HOF #23, Sharp! 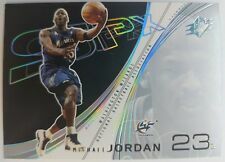 Rare UNC Lot of 5: Michael Jordan, 2009 Upper Deck Legacy Gold! North Carolina! 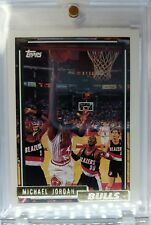 1988 88 Fleer All Star Team Michael Jordan Card #120, Very Rare Vintage! 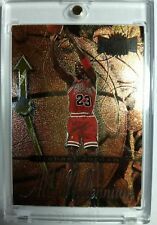 1995-96 Flair #235 Michael Jordan "Style", Premium, Bulls, HOF, Sharp! 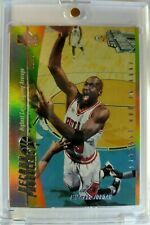 MJ Error: 1995 95-96 SkyBox MIchael Jordan #15, Error 6972 Career Blocks! 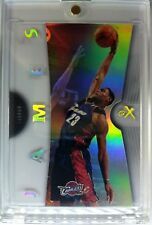 Michael Jordan Insert, 1995-96 Fleer Flair Hardwood Leader #4, Sharp Card!